Notepads at the ready, people. This might come up at your next pub quiz: 400 years ago this March, the legendary Pocahontas died just outside London. Folks tend to think of her as a Disney cartoon, but there was far more to her life than that. Here are sites around the city (and one outside of it) associated with this remarkable Native American woman. 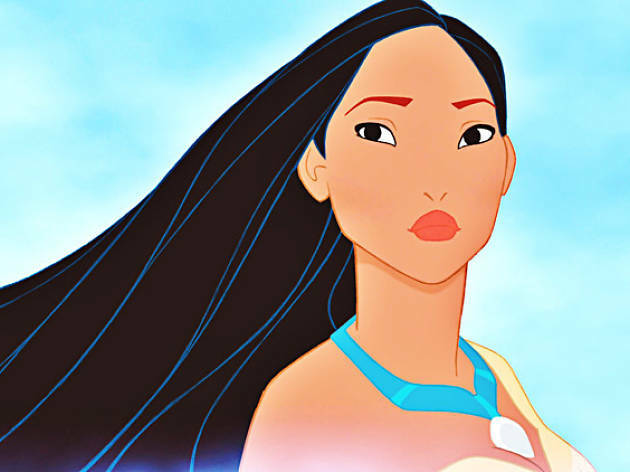 Born around 1596 in the US state of Virginia, Pocahontas met English settler John Rolfe whom she married in 1614. Two years later, the couple sailed to England along with 11 other members of her tribe – the Powhatan – in what was essentially a PR stunt for the cash-strapped Virginia Company of London. Once in the capital, the group’s first digs were at the Belle Sauvage Inn on Ludgate Hill. It was described at the time as being the ‘haunt of thieves and conmen… noisy, dangerous and evil-smelling’. Shame they didn’t have TripAdvisor back then. Had it not burned down in 1666, the inn would have stood roughly opposite today’s City Thameslink station. Another English chap associated with Pocahontas was Captain John Smith (wrongly portrayed as Pocahontas’s beau in the 1995 Disney film). According to legend, the explorer was spared a nasty execution when (in Smith’s own words) the young Pocahontas 'hazarded the beating out of her own brains to save mine'. A statue of Captain Smith, copied from a sculpture in Jamestown USA, can be found in the yard of St Mary-le-Bow, Cheapside, where he was a parishioner. 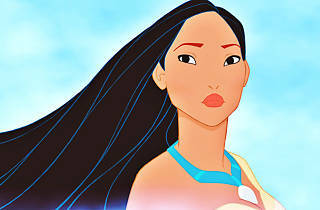 It’s also believed that Pocahontas, who had converted to Christianity, worshipped here during her time in London. Captain John Smith died in 1631 and is buried in St Sepulchre-without-Newgate, just across from the Old Bailey. Pocahontas’s old pal is commemorated here by a stained-glass window which was unveiled in 1968. On Twelfth Night 1617 Pocahontas was invited to the Banqueting House, then part of the vast Palace of Whitehall, where she attended a masquerade ball and met King James I and Queen Anne. However, the royal couple didn’t realise who the young woman was until long after she’d quit the party. Pollution in London is nothing new. After spending some time in the city, Pocahontas’s lungs began to suffer so she, John Rolfe and their young son Thomas moved west to Brentford, an idyllic country retreat back in the day. The site of their long-vanished home is now occupied by the Royal Mail sorting depot. In March 1617 the Rolfes boarded a ship called The George for their transatlantic voyage home. At this stage Pocahontas was seriously ill (possibly with tuberculosis) and as the ship headed into the Thames Estuary she took a turn for the worse. At Gravesend the crew rushed Pocahontas ashore, but she died soon after and was buried in the churchyard of St George’s. She was just 21 years old. Although her grave’s exact spot is long forgotten, Pocahontas is commemorated at St George’s by a plaque, a stained-glass window and a statue that, like the one of her old friend Captain John Smith, has an identical twin in Jamestown USA. Check out seven places in London connected with the Elephant Man. One correction: she was buried in the chancel of the church, not the churchyard. This is specifically mentioned in the burial register. Unfortunately, that church burnt down and was replaced by the current one, and it's not known what happened to Pocahontas's remains in the process. @Steve D Thank you, Steve. Gravesend is in North KENT not in London. @Mike M Thank you for that Mike, I am well aware of the geography. When I wrote this piece I originally introduced it with "sites in and around the capital", around meaning close enough to the city for them to be of importance. Unfortunately this caveat was edited out.